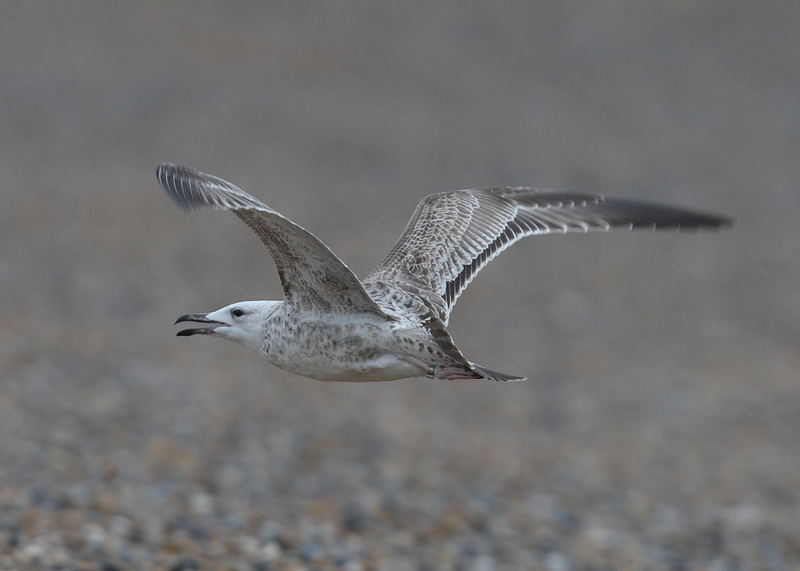 Larus cachinnans 1CY-2CY 01P4 October 2014 & November 2015, UK & Switzerland. Picture: Michael Southcott & Laridoprout. Red ring from Poland used in 2014. 300 pulli were ringed this year here. 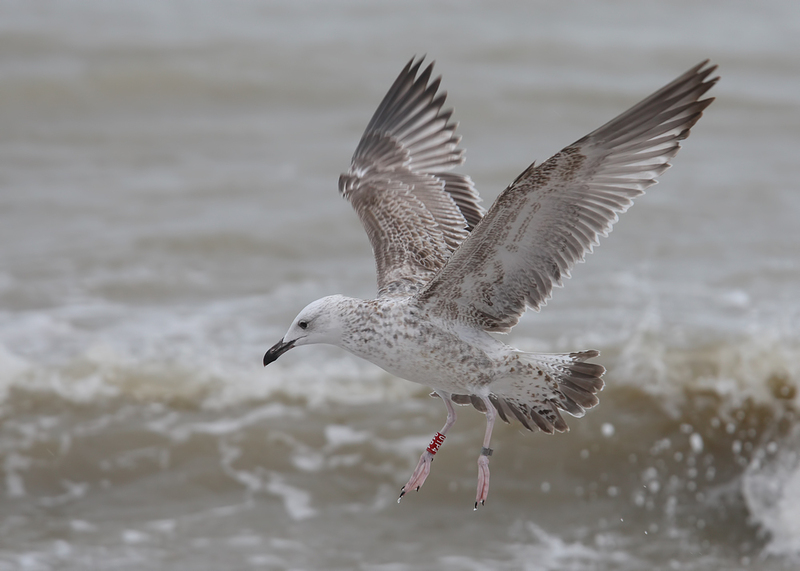 Ringing data: ringed as pullus on May 15 2014 at the Kozielno colony, Paczkow, Poland; by Jacek Betleja. 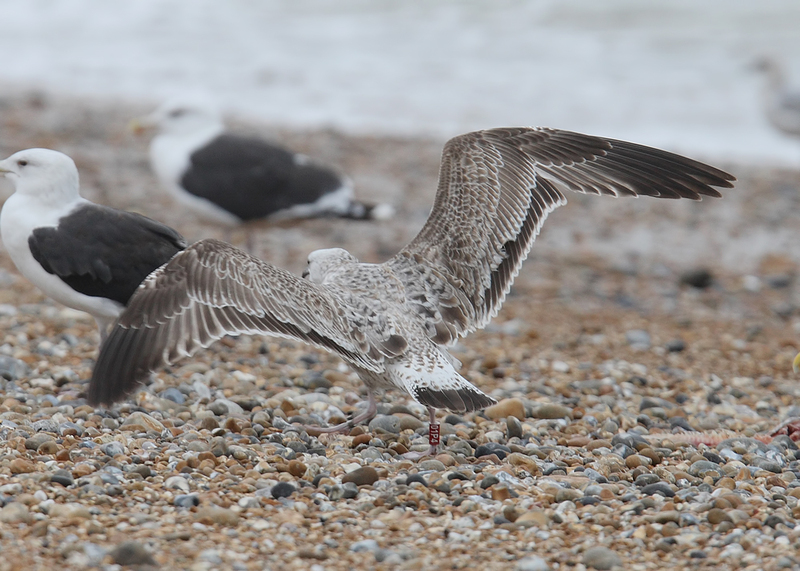 Larus cachinnans 1CY 01P4 October 04 2014, Dungeness, Kent UK. Picture: Michael Southcott. 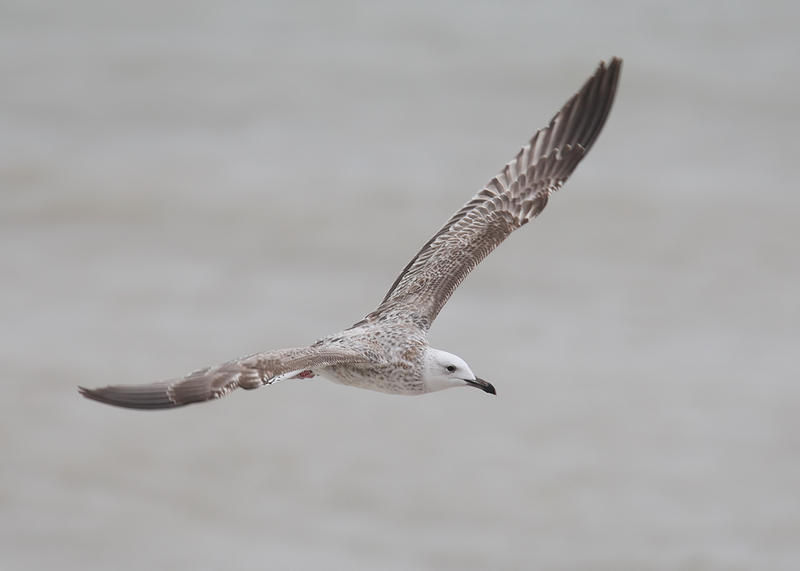 Visit Michael's Blog: birding the day away! 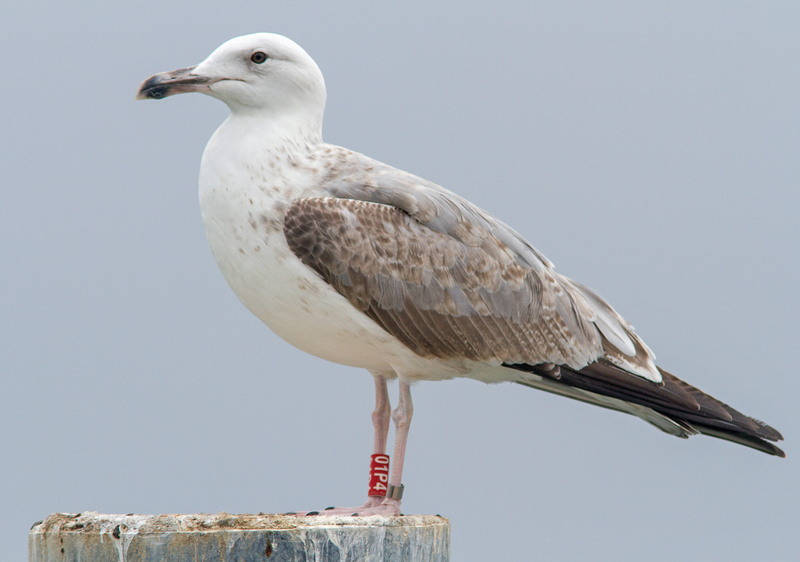 By October, some lower scapulars still juvenile, as are the coverts and tertials. Messy pattern on 2nd gen scaps, with kind of serrated edges of dark centres and transversal bars. 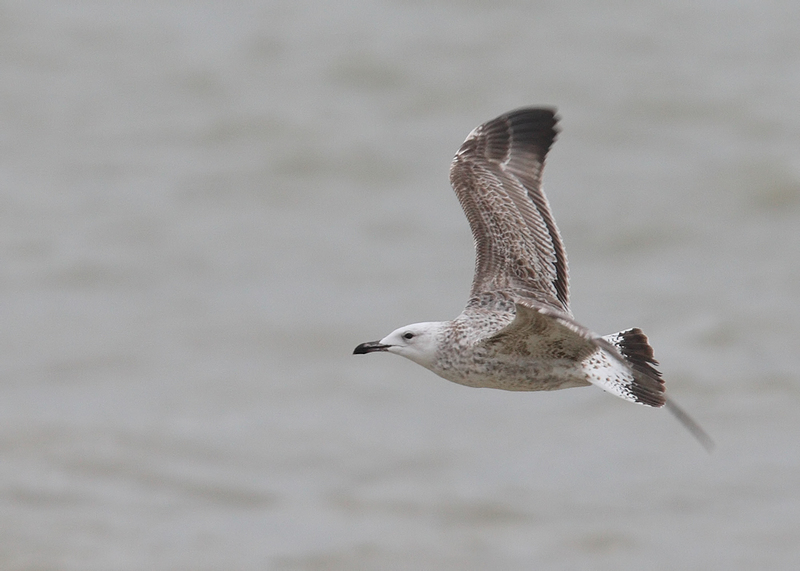 Larus cachinnans 2CY 01P4 November 12 2015, Switzerland. Picture: Laridoprout. See Flickr photostream of Laridoprout. 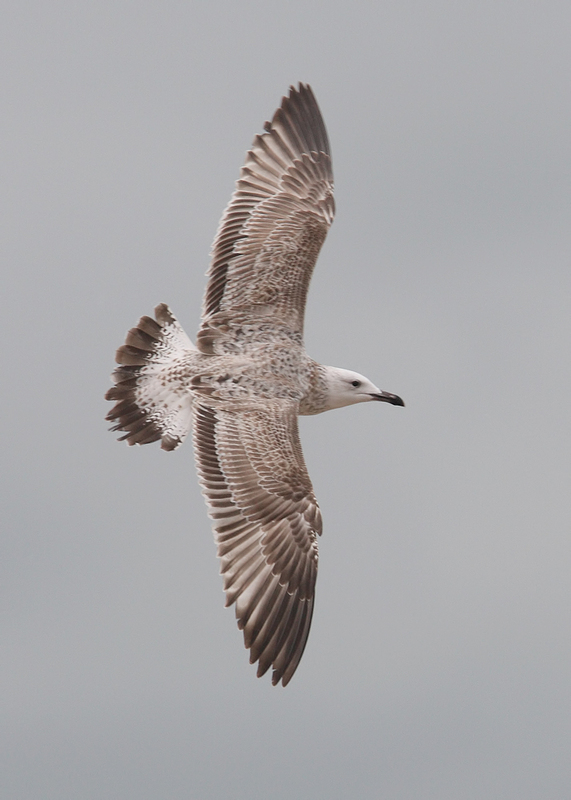 2nd gen flight feathers. Still some brown scaps in the grey saddle.